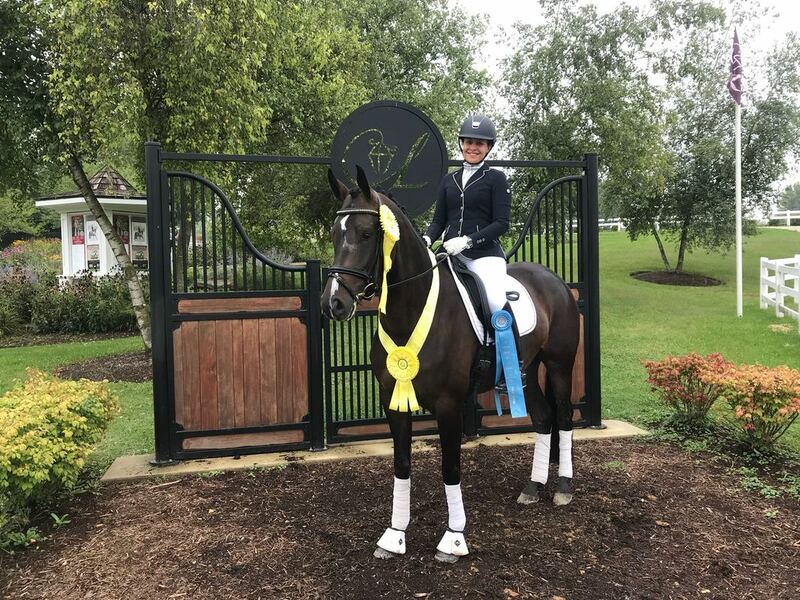 Doblesse, aka Pie, was a finalist at the Festival of Champions in Lamplight/ Chicago at the 2018 Markel/USEF Young Horse Dressage National Championships for Four-Year-Old Dressage Horses! 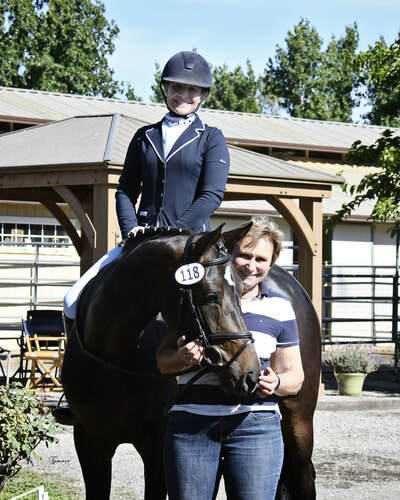 With an overall 11th place as well as an individual 6th highest score on the final day of competition this petite mare is definitely one of the United States' most promising young horses. ​Doblesse was imported by us in early 2018. 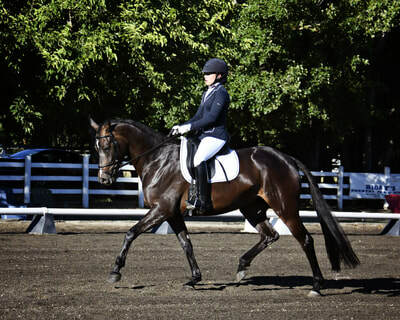 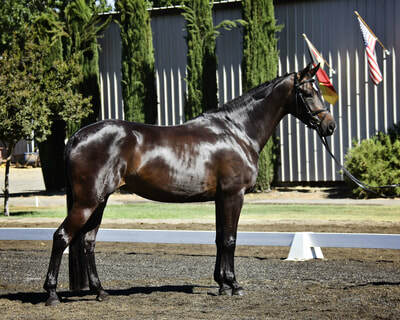 She has already been shown at Training Level and the USEF Young Horse 4 year old classes where she raked in scores in the upper 70's and even breaking the 80% mark in her first Young Horse Qualifier for the national championships in Chicago after only a few months in the USA. 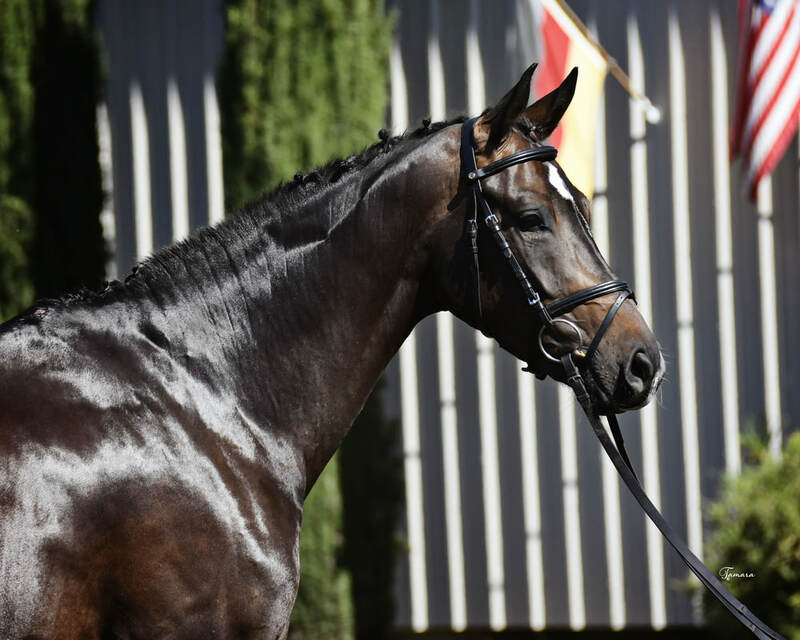 Doblesse is a diamond in the making. Her strongest attribute is her great mind. At only 4 years of age, she handles a show environment without any problem and performs just as well as in her everyday training. 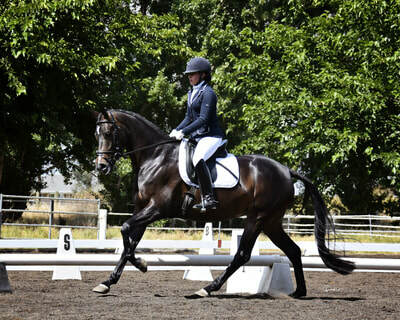 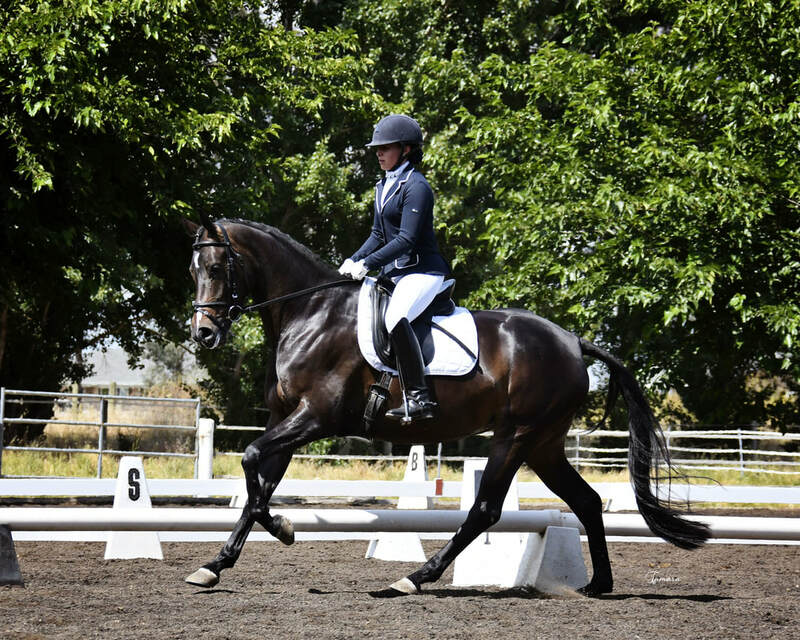 She is truly something special and will blossom with a junior/young rider, adult amateur or professional.